Having a home with a turret is a bit of a status symbol. They are often associated with castles and tower houses, although Victorian builders were also fond of including a corner turret when building a home designed to impress. 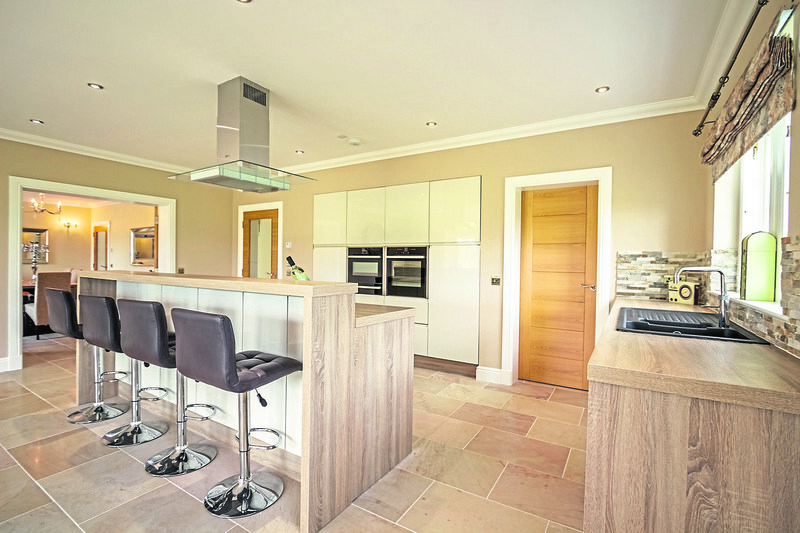 A turret still makes a good talking point, especially when it’s been cleverly used in a modern home such as Beallach Lodge in Bonar Bridge. 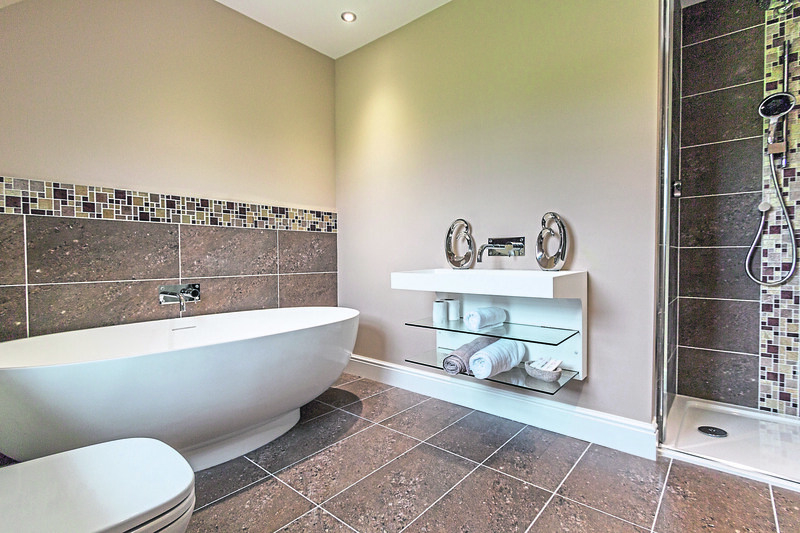 This substantial, contemporary detached house, completed last year, has been designed with precision and style and includes a number of impressive features, such as underfloor heating, a contemporary kitchen, bathrooms and neutral décor. Sitting in more than five acres of grounds which are laid mostly to lawn, the house is surrounded by some of the finest scenery in the Highlands. 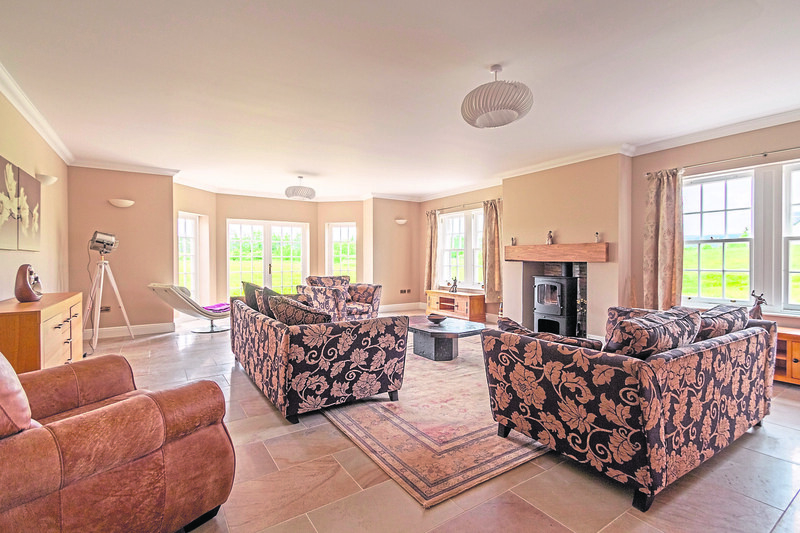 The location means it will suit a number of buyers including those looking for a property with equestrian opportunities. First impressions are very grand, with the turreted entrance vestibule giving access to a guest bedroom and WC, and the main inner hallway which in turn gives access to a magnificent bay-windowed sitting room which has a wood-burning stove, wall-mounted lights, ceiling coving and raised skirtings. 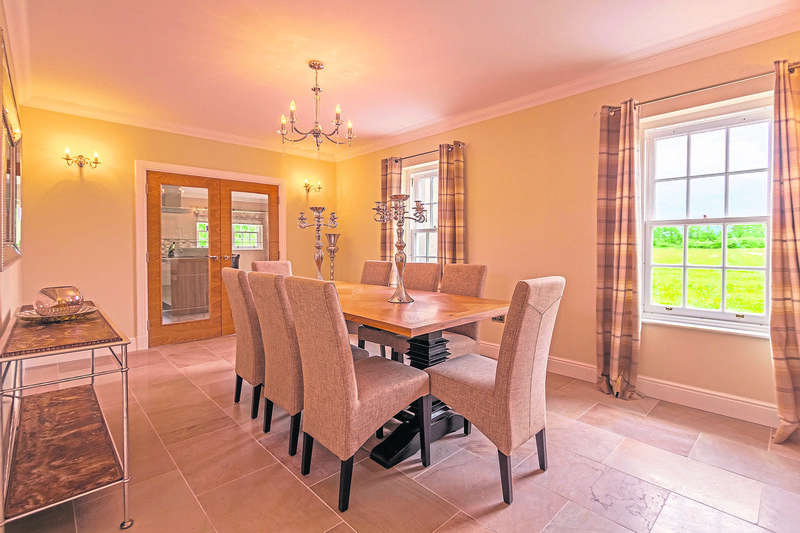 There’s a formal dining room which opens up directly into a large, stylish kitchen which comes with a grand range of wall and base storage units, Neff integrated appliances, breakfast bar, Quooker tap and walk-in larder. To the back of the house, which is on the market at offers over £595,000, there is a utility room and WC/cloak room. 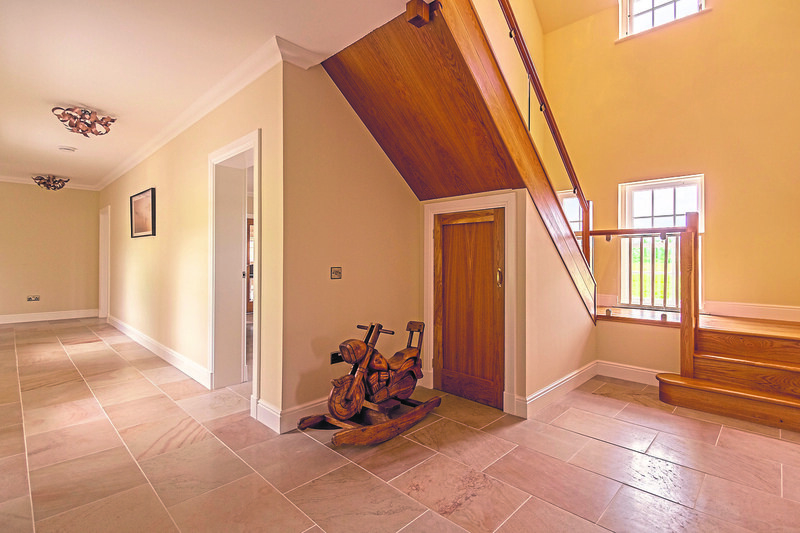 A beautifully crafted staircase leads from the main entrance hallway to the upper level and carpeted landing. 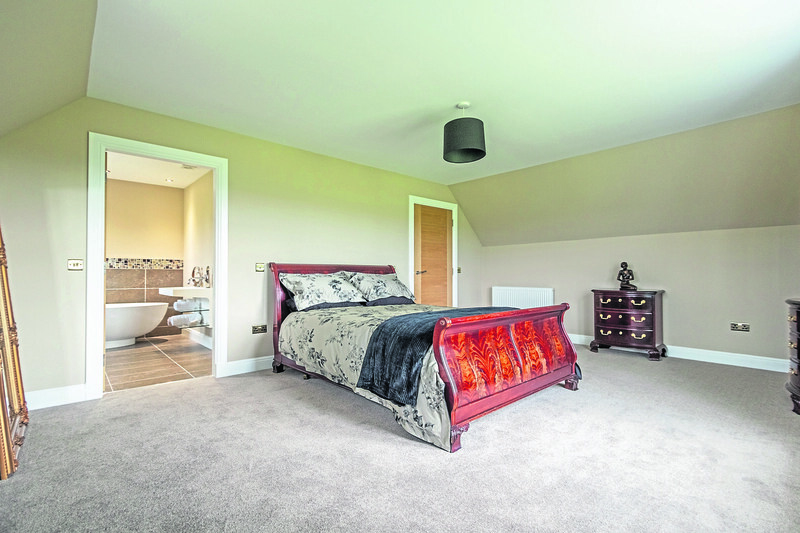 Here you’ll find a master bedroom, a wonderful front-facing room with a luxuriously appointed en suite with a free-standing bath, walk-in shower, WC and wash hand basin. 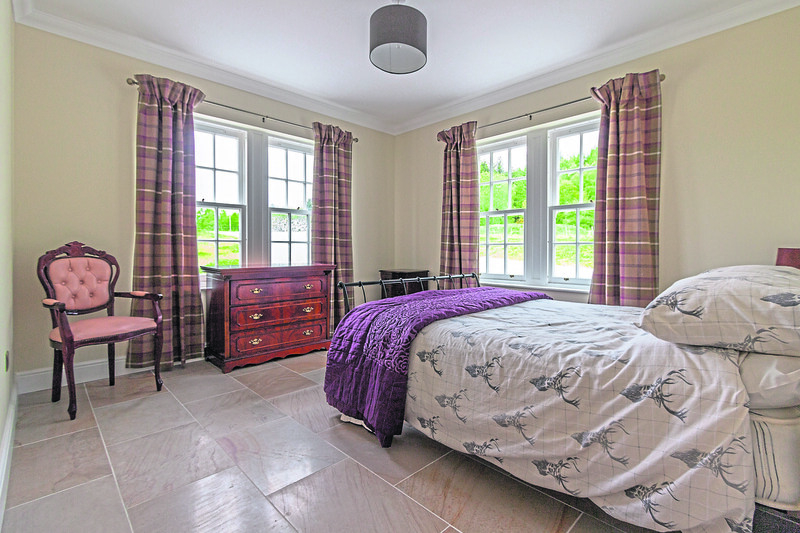 There are four further bedrooms, two of which have en suite facilities and a there’s also a fabulous turret room which would make an ideal study or simply a place to relax in what is these days, unusual surroundings. Outside, the house is accessed via a shared driveway from the main road which leads to a stone chipped parking area and to a detached garage. 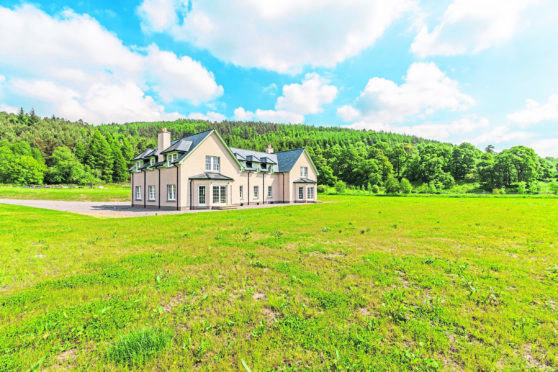 This part of the Highlands is peaceful and tranquil and surrounded by spectacular scenery, and makes the ideal, private, rural Highland retreat. There’s an abundance of opportunity to enjoy a huge variety of outdoor pursuits, while there are great golf courses nearby including the world-famous championship course at Royal Dornoch, Tain and Golspie. The village of Bonar Bridge has a good range of services including a primary school, library, bank, post office, a butcher, grocery with in-store bakery, as well as a health centre, cottage hospital, two pubs and a restaurant. Secondary schooling is available at Tain or Dornoch with a school bus service from the village. Contact: Strutt & Parker Inverness on 01463 719171.